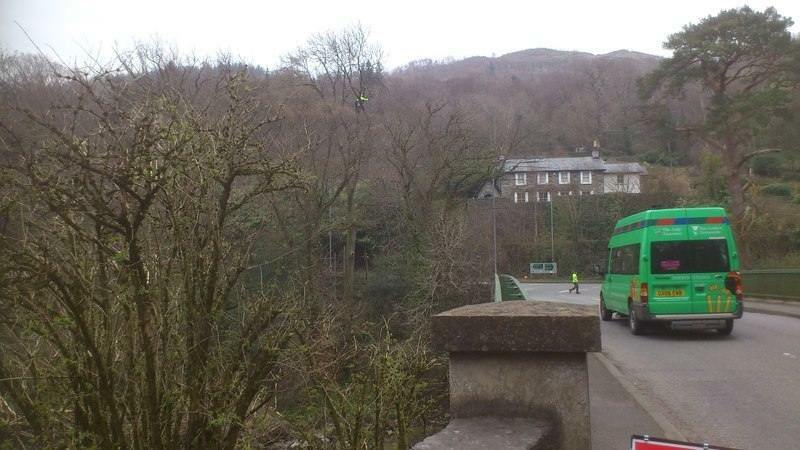 We revisited a mature Ash tree that we worked on several years ago, sadly it has been infected with Honey Fungus ( Armillaria) and was a danger to traffic and pedestrians on the Waterloo Bridge having shed some of its upper crown on to the power line. 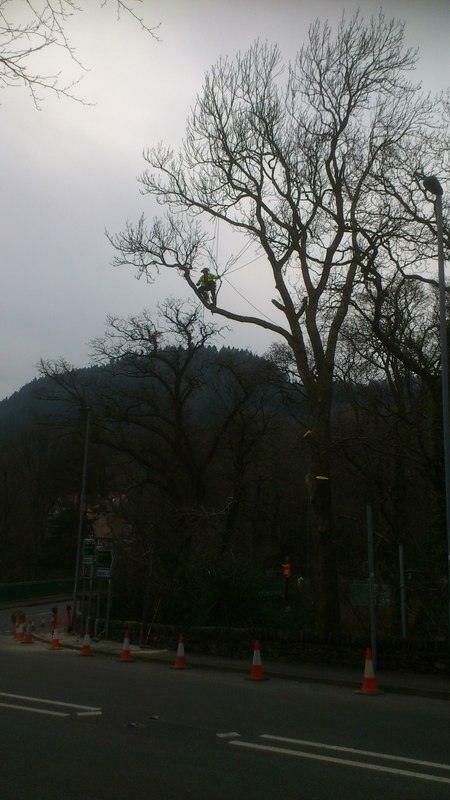 Although not a technically difficult tree to dismantle the added factor of a power line (Shutdown but still in situ) and live box on the pole next to the tree and the A5/A470 roads in the drop zone it demanded some crafty rigging from the tree team and coordinated careful traffic management from the traffic team. 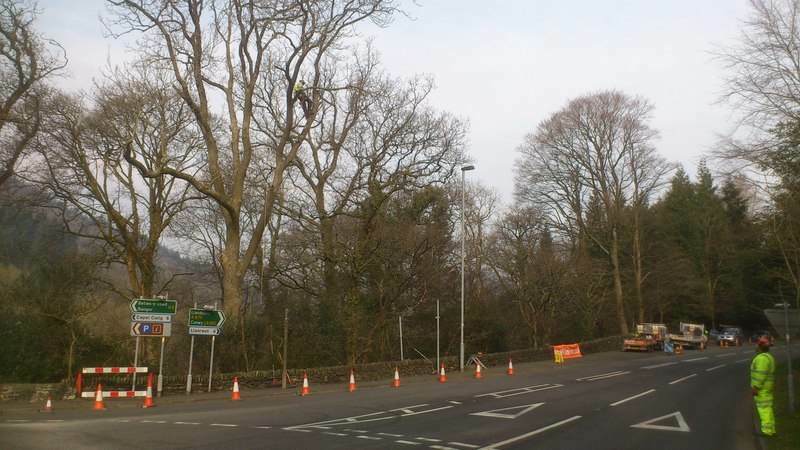 The job required some 3 months of planning with liaison with Snowdonia National Park, Conwy County Council Highways, North Wales Trunk Road Agency and Scottish Power.